Posted April 13, 2017 by The Rapid & filed under News. Our new electronic fare (e-fare) system is coming soon! E-fare, which features smart cards and a mobile ticketing smartphone app, will make riding the bus faster, easier, and more convenient. Features will include the ability to purchase fares or add funds online, at ticket vending machines or at Rapid Central Station. 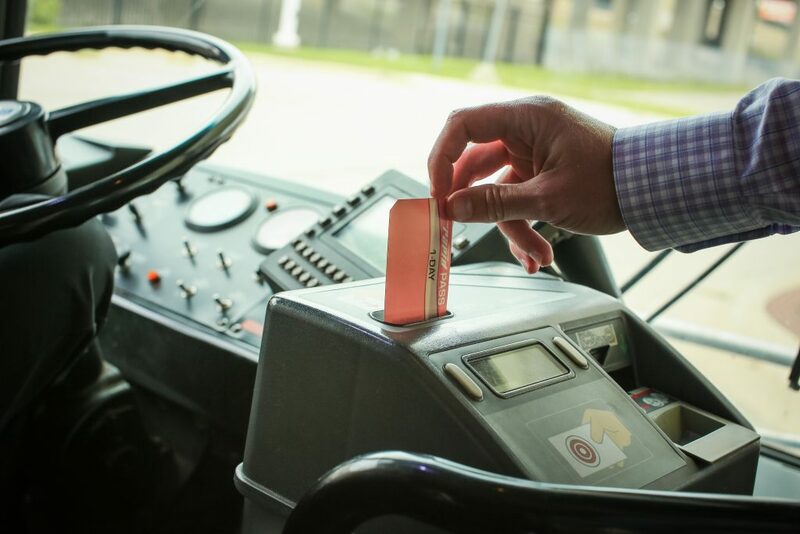 Using e-fare to ride is as simple as a “tap” of the smart card at the validator or a scan of the mobile ticketing smartphone app to pay your fare. As we prepare to transition, we are proposing a few changes to our current fare structure to fully use the new e-fare technology, expedite the boarding process, and give you more options for fare payment. This proposal does not include a fare increase. If approved, changes to the fare structure will be in effect when the e-fare system launches in early 2018. 4:00 p.m. – 5:00 p.m..
Can’t make it to a meeting? Send us your feedback!